Dimensions 0.75 by 9.50 by 10 in. Amazon.com description: Product Description: With its unique focus on visual language, Ellen Lupton's How Posters Work is more than another poster book. Rather than provide a history of the genre or a compilation of collectibles, the book is organized around active design principles. Concepts such as "Simplify," "Focus the eye," "Exploit the diagonal," "Reverse expectations" and "Say two things at once" are illustrated with a diverse range of posters, from avant-garde classics and rarely seen international works to contemporary pieces by today's leading graphic designers. Illustrated with over 150 works from the collection of Cooper Hewitt, Smithsonian Design Museum, How Posters Work provides a stunning education in seeing and making, demonstrating how some of the world's most creative designers have mobilized principles of layout, composition, psychology and rhetoric to produce powerful acts of visual communication. Ellen Lupton (born 1963) is an acclaimed writer, curator and graphic designer. She is Director of the Graphic Design MFA program at Maryland Institute College of Art (MICA) in Baltimore, where she also serves as Director of the Center for Design Thinking. As Curator of Contemporary Design at Cooper Hewitt, Smithsonian Design Museum since 1992, she has produced numerous exhibitions and books, including Mechanical Brides: Women and Machines from Home to Office (1993), Mixing Messages: Graphic Design and Contemporary Culture (1996), Letters from the Avant-Garde (1996), Skin: Surface, Substance + Design (2002) andÃ¢ÂÂmost recentlyÃ¢ÂÂBeautiful Users: Designing for People (2014). Lupton is a 2007 recipient of the AIGA Gold Medal, one of the highest honors given to a graphic designer or design educator in the US. 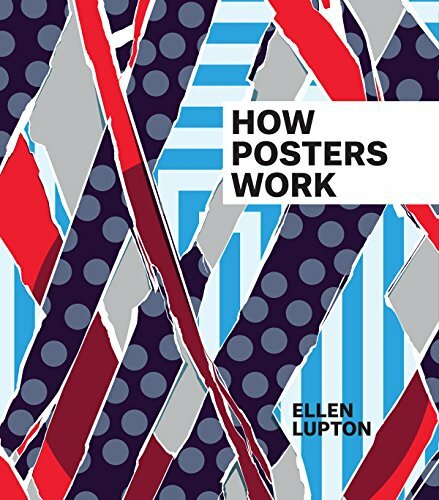 About: With its unique focus on visual language, Ellen Lupton's How Posters Work is more than another poster book.